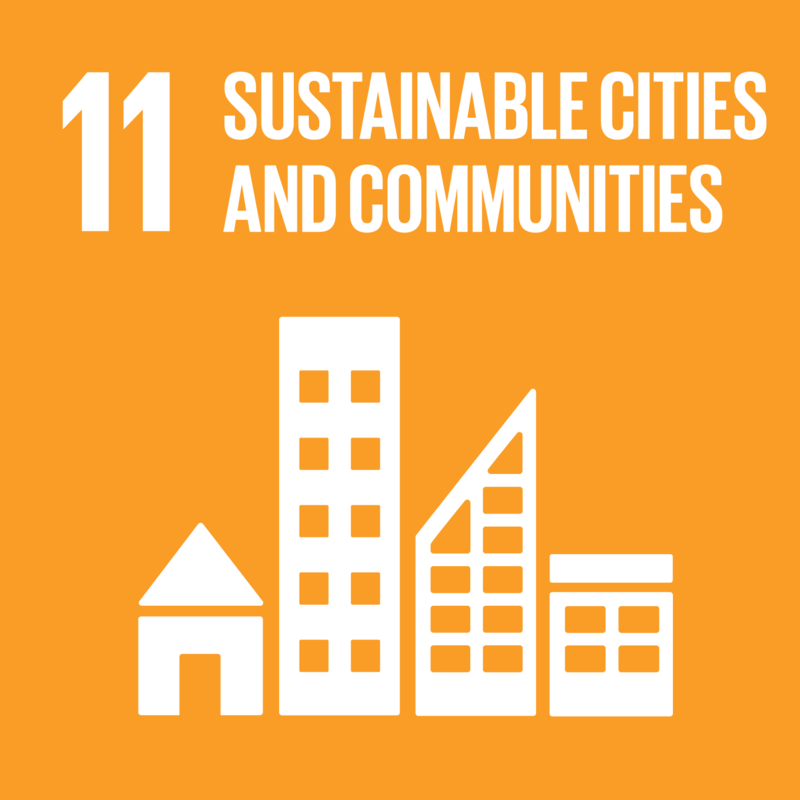 Title of the Campus: Sustainable Innovation Zones (ZIS) as catalysts for the New Urban Agenda and Sustainable Development Goals. Organizer(s) Names: Global Urban Development (GUD). Partner Organization(s): Porto Alegre Sustainable Innovation Zone (ZISPOA), ZISPOA Project, Engineering School, Federal University of Rio Grande do Sul (UFRGS), Orbita Coworking, Vila Flores Cultural Association. In Porto Alegre, Brazil, during November 10-12, Global Urban Development (GUD), a founding Lead Partner of UN-Habitat's World Urban Campaign, organized an Urban Thinkers Campus (UTC), together with the Porto Alegre Sustainable Innovation Zone (ZISPOA -- Zona de Inovação Sustentável de Porto Alegre), the ZISPOA Project at the Engineering School of the Federal University of Rio Grande do Sul (UFRGS), Vila Flores Cultural Association, and Órbita Coworking. A total of 185 people participated in our 3-day Urban Thinkers Campus, whose theme was: Sustainable Innovation Zones (ZIS) as Catalysts for the New Urban Agenda, Sustainable Development Goals, and Paris Climate Agreement through Citizen Empowerment, Entrepreneurial Engagement, and Strategic Collaboration. The sessions on Friday and Saturday took place in the Centenario Building at UFRGS Engineering School, where the ZISPOA Project office is located. The sessions on Sunday were at Vila Flores. ZISPOA, which includes parts of six neighborhoods (Bom Fim, Farroupilha, Floresta, Independência, Rio Branco, and Santana) and the city's largest public park (Redenção), has been working since 2015 to become the most sustainable and innovative place in Latin America, the first implementation step of GUD's World Bank-funded Leapfrog Economic Strategy for Porto Alegre and the State of Rio Grande do Sul to become the most sustainable and innovative places in Latin America by 2030. The UTC opened on Friday morning with Marc Weiss, GUD Chair and ZISPOA Coordinator, introducing a presentation by Maurício Amaral from Arcadis about his company's support for the World Urban Campaign and the partnership between Arcadis and UN-Habitat to help provide shelter and promote rebuilding from natural disasters. He showed many interesting photos in describing his team's efforts to assist reconstruction of Kathmandu after the April 2015 earthquake in Nepal. This presentation was followed by an Urban Thinkers Session about Sustainable Innovation at UFRGS, moderated by Professor Luiz Carlos Pinto, Dean of Engineering, with 12 speakers covering many initiatives promoting technological innovation and entrepreneurship for sustainability and resource efficiency, including teaching, research, product and service development, startup challenges, business incubators, hackathons, class projects, and much more. The ZISPOA Project at UFRGS is actively working with many professors, administrators, and students to encourage Sustainable Innovation activities. A follow-up Urban Lab on Saturday morning featuring ZISPOA Faculty Advisers (Professores Conselheiros da ZISPOA) and ZISPOA at Universities (ZUNI) highlighted the role of ZISPOA in mobilizing professors and students from many universities in metropolitan Porto Alegre to collaborate together on Sustainable Innovation research and action projects, including promoting renewable energy, sustainable mobility, and zero waste. For example, students in Professor Luis Felipe Nascimento's Social and Environmental Management course raised funds and worked with startup Elysia Energia Solar to build a Solar Post at UFRGS for recharging smartphones and electronic devices with solar-powered electricity; and students in Professor Júlio van der Linden's Design course developed logos for ZISPOA projects and activities, including POA Solar, ZUNI, ZURB, Green Drinks, and Stakeholders Meetings. Luiza Macedo recently completed a Master's Thesis about ZISPOA after two years as an active participant studying its operational model and recommending strategic improvements. Friday afternoon began with two Urban Labs featuring recent documentary films about the history of the Sustainable Innovation movement in Porto Alegre since the 1960s: 1) Lutzenberger: For Ever Gaia, produced by the Gaia Foundation; and 2) Substantivo Feminino, produced by Daniela Sallet Productions and Zapata Films. These films portray the lives of three Porto Alegre citizens who served as Brazil's most distinguished international environmental leaders for several decades: José Lutzenberger, co-founder of Agapan in Porto Alegre, Brazil's first modern environmental activist organization; and Giselda Castro and Magda Renner, co-founders of Friends of the Earth-Brazil, the first international chapter of FOE in Latin America. These three leaders lived and worked in the area that is now part of ZISPOA, and their respective organizations are still very active today. Lara Lutzenberger, President of the Gaia Foundation, gave a very moving speech about her father's legacy and the future of sustainability. Daniela Sallet spoke with passion about the pioneering local and global advocacy led by Giselda Castro and Magda Renner. These two films, full of inspiration and heart, set the tone for an Urban Thinkers Session on the History and Future of Sustainable Innovation in Porto Alegre, with 12 key environmental leaders discussing and debating a wide range of insights and actions. In the context of the films, this session reinforced the sense of tradition that unites and strengthens the current generation of activists, entrepreneurs, and experts. In the evening the UTC hosted a major Roundtable dialogue about Collaborative Houses, Coworking Spaces, and Sustainable Innovation in Porto Alegre. Leaders from nine different collaborative houses and coworking spaces talked about this rising movement in the city that is generating both startups and collaborative community projects to enhance Sustainable Innovation in ZISPOA and throughout Porto Alegre. These growing businesses and thriving NGOs are increasingly following the path of citizen empowerment, entrepreneurial engagement, and strategic collaboration as highlighted by our main UTC theme, and expanding into a more dynamic future for this important ecosystem. Saturday morning started with an Urban Thinkers Session on Sustainable Urban Planning and Development in Porto Alegre, with architects, planners, consultants, professors, and students of sustainable urban development. The conversation ranged from green buildings to participatory planning, including the new master plan currently under consideration for Porto Alegre and how it can help foster Sustainable Innovation in the spirit of ZISPOA. On Saturday afternoon we had two Roundtables, one on Solar Power for ZISPOA and Porto Alegre, and the other on Bike-Friendly ZISPOA and Porto Alegre. At the Solar Power Roundtable, Porto Alegre City Councilman André Carús excited the audience by describing his proposed legislation for the City Council to officially recognize ZISPOA's policy mission and geographic boundaries. On December 20, the Porto Alegre City Council unanimously passed this new law. In addition, three solar energy entrepreneurs, a professor, and two leaders of ZISPOA's POA Solar working group discussed innovative initiatives for financing solar energy, for promoting expedited permitting and economic incentives for solar installations, and specific activities including working with Young Energy and public schools such as Anne Frank High School in ZISPOA to save on energy costs by generating solar power and engaging students, teachers, staff, and parents to participate in Sustainable Innovation educational curricula and volunteer collaboration. The Bike-Friendly Roundtable was a lively conversation among government officials (Porto Alegre City Councilman Marcelo Sgarbossa and Alessandra Both from EPTC), startup entrepreneurs (Loop and E-bike), and bike activists (Mobicidade) about how to expand dedicated bike lanes and secure bike parking in ZISPOA, including a new initiative encouraging private businesses to help provide "parklets" as bike-friendly public spaces in front of their stores and cafes. In the late afternoon and early evening on Saturday, we held a major Plenary on Sustainable Innovation Zones and the New Urban Agenda, Sustainable Development Goals, and Paris Climate Agreement. At this event, 16 speakers and the audience engaged in an intensive conversation about a variety of approaches to achieving this very ambitious agenda in Porto Alegre, throughout the metropolitan region, and statewide in Rio Grande do Sul by 2030. The vital role of ZISPOA, and similarly of future Sustainable Innovation Zones in other cities, as catalysts for accomplishing these important goals, was one of the key topics, especially in terms of strategic collaboration with many related initiatives such as Virada Sustentável, Núcleo ODS-RS, Porto Alegre Resiliente, and Agenda 3.0. This vigorous debate concluded with celebratory evening "Green Drinks" festivities and networking at nearby Órbita Coworking, featuring healthy and sustainable food and beverages, including organic beer and vegan snacks, provided by local artisanal startups. On Sunday afternoon we gathered at Vila Flores Cultural Association, one of the largest and most vibrant collaborative houses, located in an attractively renovated large historic space in ZISPOA. Events at Vila Flores included an Urban Lab showing Coletivos Criativos @ Porto Alegre, a new documentary film about collaborative houses and the creative economy in Porto Alegre, produced by Unisinos professors César Kieling and Paula Visoná. The film was followed by a Roundtable on Collaborative Houses, Coworking Spaces, and the Creative Economy in Porto Alegre, with a deeply informed conversation among entrepreneurs, activists, and scholars in this rapidly accelerating field. Many of the collaborative houses, coworking spaces, and creative economy businesses and organizations are located in or near ZISPOA, and they are vital contributors to the overall Sustainable Innovation movement. In summary, the Porto Alegre Urban Thinkers Campus served as both a time of reflection and a call to action. It strengthened our focus on citizen empowerment, entrepreneurial engagement, and strategic collaboration, and helped encourage many new connections among participants for collaborating on a great variety of Sustainable Innovation initiatives, and generated multiple new opportunities for startups, research projects, employment, and much more. Finally, our UTC enhanced the presence of UN-Habitat and the World Urban Campaign in Porto Alegre, and educated many of us about the how best to support, both locally and globally, international efforts to achieve the New Urban Agenda, Sustainable Development Goals, and Paris Climate Agreement. This UTC brought together a broad coalition committed to communicating and collaborating more effectively together in the future on ZISPOA and other Sustainable Innovation Zones, and on the Sustainable Development Goals/New Urban Agenda/Paris Climate Agreement, for Porto Alegre and Rio Grande do Sul, through citizen empowerment, entrepreneurial engagement, and strategic collaboration with sustainable innovation organizations, collaborative houses and coworking spaces, community and citizen groups, startups and local entrepreneurs, university professors and students, and government officials, among others. Focus on organizing Sustainable Innovation Zones (ZIS) based on citizen empowerment, entrepreneurial engagement, and strategic collaboration. Participants tentatively agreed to reconvene in Porto Alegre sometime after Virada Sustentavel weekend (April 6-8, 2018) in order to refine our action plan and design and develop indicators and metrics for monitoring and reporting our collective ongoing progress.